Navigation: Home / Forums / 3DS / Super Mario Sunshine 3D leak! 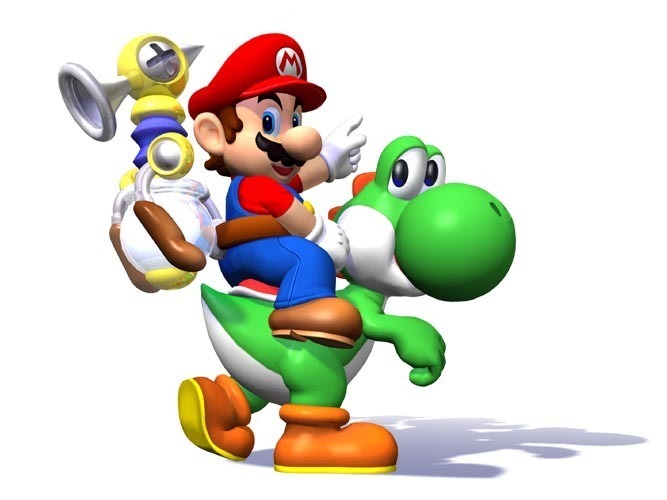 Topic: Super Mario Sunshine 3D leak! Exclusive for New Nintendo 3DS! Look on the first frame of the video (pause and unwind) where it shows the 3DS menu screen. There's no way Nintendo would use a promo image from the original for the icon for this game. A very small chance, at best. Also, why no bottom screen?! Would it be too much to ask to film the bottom one as well? The title either spells "Super Mario Sunshine 30" or that "D" looks very bad. Too bad for an actual logo. Fake.